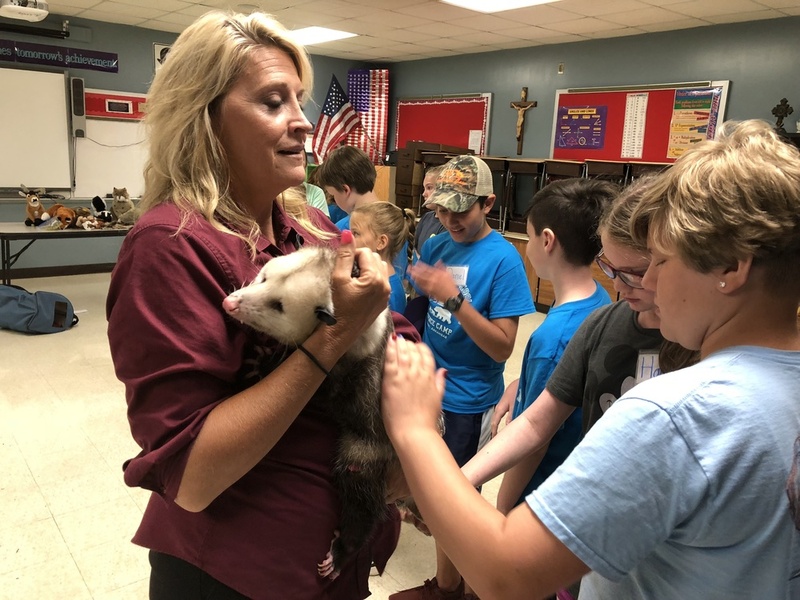 Students attending the Science Camp being held at the Middle School June 11-15 got to pet a live possum named "Jagger." It was brought to the camp by guest speaker Sheila Connerly who's a Regional Educator with the Witt Stephens, Jr. Central Arkansas Nature Center. Ms. Connerly explained that the possum is a marsupial and that it helps the environment by including ticks in its diet.